This Bike Pic Friday, with several inches of snow to cover the ice on the trail, having some fun. Maybe taking in a race? 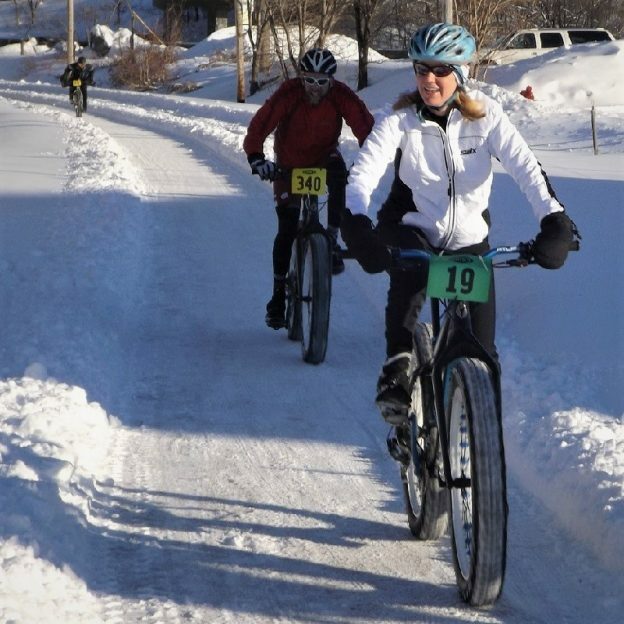 Here are cyclists are warming up for the Ham Lake Snow Bowl Fat Bike Race this Saturday, 02/09/2019. 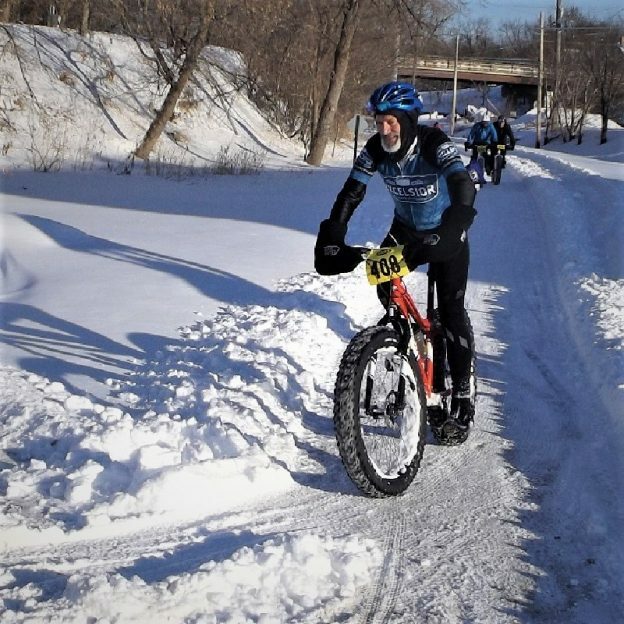 This entry was posted in Picture of the Day and tagged fat biking, Ham Lake MN, Ham Lake Snow Bowl Fat Bike Race, Minnesota fat biking, Minnesota Mountain Bike Trails, Minnesota Off-Road Cyclists, Minnesota River Bottom Trails, Minnesota trails, Mountain Biking, Penn Cycle Puoli Fat Tire Loppet, picture of the day, picture of the day fat biking, Twin Cities Gateway on February 8, 2019 by Russ Lowthian.